Sorry I'm posting this a little late but my usual two-hours-a-week-job turned in to a seven-days-a-week-thing and I haven't had time to write or schedule any posts. I am doing it now though, as soon as I've finished this one. Promise. You won't see any post-free days for a while now, I hope. So, back to today's Top Ten. 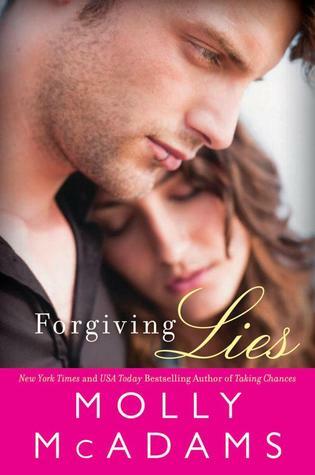 Forgiving Lies by Molly McAdams - Taking Chances and From Ashes are two of my favorites and solely based on that and the fact everything Molly McAdams touches turns to gold is reason enough for me to pick up this book. That the blurb sounds awesome is just an added bonus. 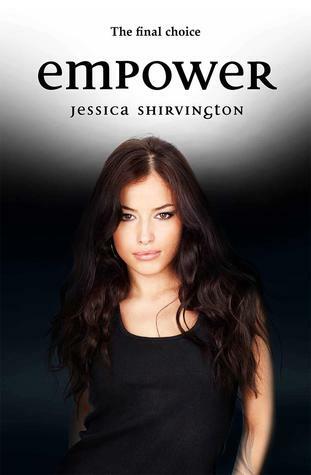 Empower by Jessica Shirvington - As no. 5 in The Violet Eden Chapters this is the final book in this thrilling series. After I finished the fourth book, Endless, (that I really thought was the last installment) I was furious. Jessica could very well have left it like that because it was a good ending to the book and could have been a good end to the series, but it sure as heck wasn't the ending I wanted. So, furious. Then I found out there would be one more. Complete happiness instead. I just have to have this one! 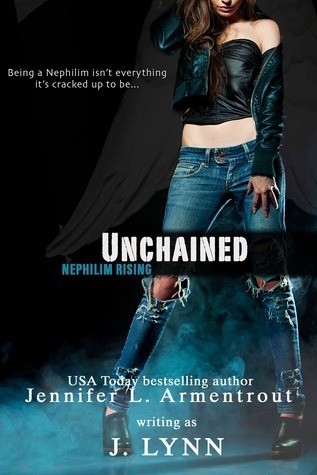 Unchained by Jennifer L. Armentrout writing as J. Lynn- I don't think any of you regulars have missed how much I love JLA, and this is her next go at a paranormal series. The blurb sounds promising, and it is JLA, how could this go wrong? 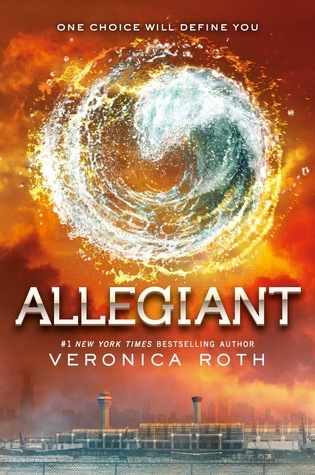 Allegiant by Veonica Roth - Is there anyone out there who hasn't heard of the hyped up book and soon-to-be-released-movie Divergent? Nah, didn't thinks so. A must read on so many peoples TBR this fall. Fallen Crest Public by Tijan - Fallen Crest Public that hasn't had it's cover reveled yet, so unfortunately no picture. If you know about my love for JLA you definitely haven't missed my absolute worshiping of Tijan. She's releasing the third book in the FCH series and this is the book of all books of fall releases. Seriously, don't miss it! 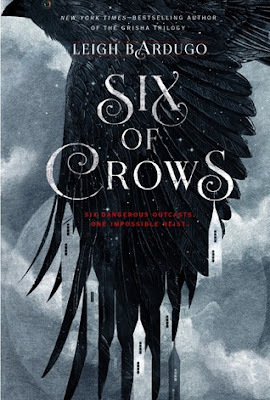 Days of Blood and Starlight by Laini Taylor - I read Daughter of Smoke and Bone, book 1, what fees like ages ago, and I've been putting of Days of Blood and Starlight, book 2, for god knows what reason. I think the main one being "I want to read it closer to the third book's release" which is stupid since reading a book long before its sequels release never have bothered me before. 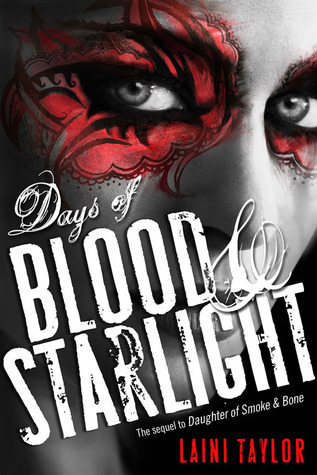 So, I hereby vow that I shall finish Days of Blood and Starlight before December 31st 2013. 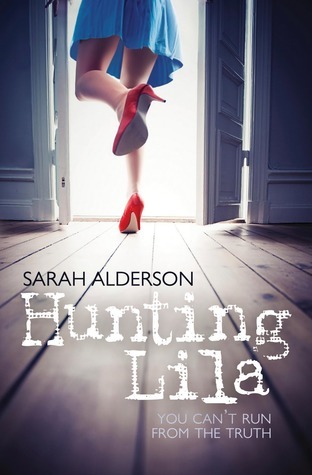 Hunting Lila by Sarah Alderson - This book came with my first ever Amazon package back in the beginning of July and never have I put of a book I actually own for this long. Feels a bit weird. I guess I'm finally taking the next step in my blogging and going from TBR lists to creating TBR piles. It sounded promising to spend money on so I really should read it and find out, shouldn't I? 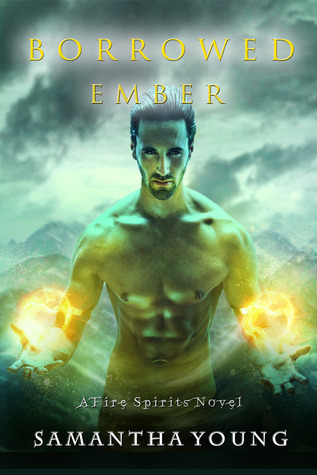 Borrowed Ember by Samantha Young - The third book in the Fire Spirit series, with Smokeless Fire being the first. I read Smokeless Fire about the same time I read Daughter of Smoke and Bone and for some reason I keep confusing one with the other. Way weird since they're nothing alike. However, I know I really liked this series even if I can barely remember anything but the major outlines of events. I should probably reread both book one and two before I give this one a go. 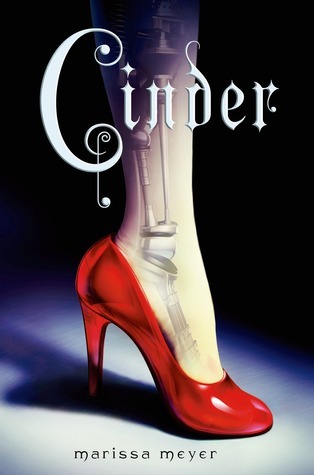 Cinder by Marissa Mayer - I am not normally one to fear a hyped up book. But this one? It sounds interesting enough but I'm not sure it my kind of book. I don't want to have another Looking for Alaska moment and dislike everything about a really well-liked and supposedly mind-blowing book. But a book is hyped for a reason, the reason usually being that it's a really good book, and I really don't know what to do about this one. I just decided that I'm giving it a try whatever my hesitances. Yay? 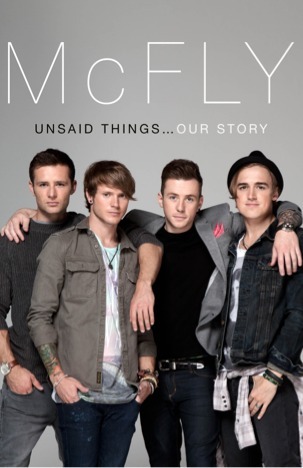 McFly - Unsaid Things... Our Story by Tom Fletcher, Danny Jones, Harry Judd and Dougie Poynter - I love these boys! They're not only gorgeous (the cover doesn't really do them justice, they are gorgeous! ), but they make awesome music, they're funny and laid back and I don't think they've ever done a boring interview in their lives, and in honor of their 10 year anniversary this year I'm reading their biography! 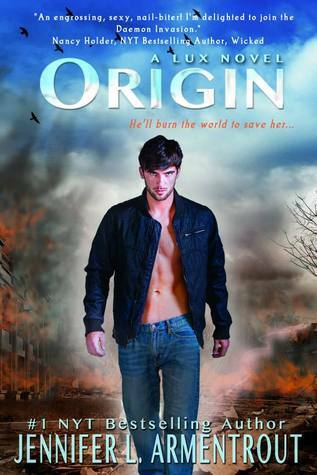 Origin by Jennifer L. Armentrout - JLA get a double appearance on the list! (it was almost a triple but I had to contain myself) Origin is the continuation of the Lux series and the third left us with a huge cliffhanger. If you haven't read the book you really don't understand it. It's major. And it pissed me off, in a loving way of course. I have to get my hands on this ASAP, anyone offering? That's it for today! Ehm, make that tonight, it's ten to midnight. At least it's still technically Tuesday. Do you have any of these on your list? What did you think or Cinder and should I fear it as much as I do? Know of any other exciting fall releases? Is Cinder any good? I keep hearing about it but not sure if it's my kind of thing. Thanks! Haha, no worries. I hear ya, almost 2 am here. And I have to get up early to study for the most boring exam ever tomorrow, better hit the bed. Night! Pft. Try the embryonic development of a fruit fly. Or frog. How do they have a top and a bottom, a right and a left? Sounds fun, but the proteins and genes are a nightmare. Oh, and then I have to dissect a fruit fly. I mean, they're tiny! Wow go you. I did forensic science, much more exciting than it sounds. Sorry, shows that I should go to bed at a decent time, was meant to be sounds more exciting than it is. I like the idea of drug development, we did a little about that on our course but very basics.